I was an intern at the University of Chicago, barely awake after a long night of call in the ICU. As I was presenting a new admission from the prior evening to the attending, he mercifully stopped me in my tracks while I was relaying numbers from the ventilator and the right heart catheter. Without hesitation she answered, “Data corruption! Data corruption!”, while the other seniors all nodded their heads knowingly. Now in my twelfth year of medicine, I fully understand the importance of rules one and two. My job is no longer simply to provide quality and compassionate care to individual patients. My practice is also charged with the responsibility of the overall quality of care for two large ICU’s at two different hospitals in the Chicagoland area. And rules number one and two are currently echoing in my head as I sit in on the monthly ICU committee meeting, trying to make sense of the Excel spreadsheet lying on the table in front of me. There is nothing more valuable to a crazy busy physician with a robust practice than time. Time is by far the physician’s most prized commodity and I have grown less tolerant of things that waste my time. ICU committee meetings have quickly risen to the top of my list. As one of the managers goes over the data, my head voice starts screaming with questions. How did our ventilator days increase by almost one full day and our mortality rate drop by 30% from the prior quarter? Given #1, why have I been wasting time reviewing deaths, not ventilator cases, from the prior quarter? Why is this data already 6 months old? I think I need glasses because these numbers are so SMALL and HARD to read! I quickly learn of the multiple systems that are attempting to capture the data; EPIC, the eICU, the financial systems HBI and HPM, quality systems MIDAS and Premier. Errors that were found in our methodology from the prior quarter. These numbers then need to be manually extracted, pooled and then entered into a custom Excel spreadsheet (with obvious limited font options) which account for the corrections and delay. Fatigued and frustrated with a headache from eye strain, I walk back to the ICU wondering why in this day and age of electronic everything, it is so hard to get accurate, meaningful and timely data. I am a doctor who has a few simple goals every day. Be the best physician I can. Provide the best care for my patients. Be a role model to the students, residents, nurses and the rest of the ICU team around me. But over twelve years, I know enough that to do so, I need more than my own biased impression to accurately assess this. I need data. Good data. Accurate data. Timely Data. I need to know when and where my ICU is falling short, to drill down on why, and ultimately implement effective change. All while not wasting time trying to fix things that are not broken in the process. As a physician, when it comes to the practice of clinical medicine, I do not normally associate the words “business” and “intelligence” together. The business side of medicine is often a source of frustration in my day to day care. But applying the concept of Business Intelligence (BI) to healthcare settings, can be a powerful intervention. BI solutions that help better manage and organize data from multiple sources is helpful. But a BI solution that allows me to visualize, manage, compare and project trends, to appreciate connections and recognize deficits would be a game changer. I would be excited for the opportunity to use such a dynamic tool for the benefit of my patients in the ICU, and would welcome the opportunity to champion such an approach for the hospital and health care system in which I work. The future of value-based care is lurking just around the corner. Processes that fill the gaps left from incomplete IT infrastructure and help to provide best patient practices are invaluable. BI solutions are the perfect fit for these complex problems. All organizations, whether they’re moving fast or slow to value-based care delivery, need accurate and timely data to achieve their objectives. A solid business intelligence strategy is how to enable that, and in order to mitigate some costly bad decisions in IT infrastructure, an objective and experienced view is key. VOV can help find the right BI solutions for a thirty bed ICU, a parent health organization or any sized healthcare organization in between. This blog post is written by Dr. Jeremy Topin, a trusted adviser for VOV. 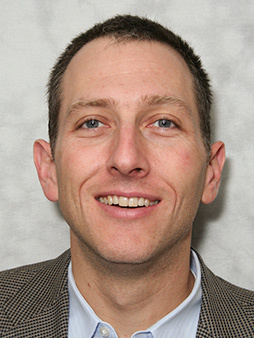 Dr. Jeremy Topin has been a Pulmonary and Critical Care Physician in the Chicago area for over 11 years. Dr. Topin champions patient safety and quality outcomes through the use of technology in his role as MICU Medical Director. He is committed to helping transform healthcare by leveraging clinical excellence and technology to achieve the triple aim. In addition to his medical practice, Dr. Topin is a prolific writer who has been published in both The Washington Post and The Chicago Tribune as well as KevinMD.